WPP’s GroupM has unveiled the new branding for the merged MEC and Maxus entity. Called “Wavemaker”, the brand, along with a new visual identity, will go live locally as the merger completes in each country. This will be finalised by January 2018. According to the press statement, Wavemaker will have offices in 90 countries and over 8,500 employees. Major global clients include L’Oréal, Vodafone, Marriott, Colgate-Palmolive and Paramount. The new brand mark reflects the agency’s heritage, born from WPP and GroupM, the statement added. According to Tim Castree, global CEO of MEC and Wavemaker, the new entity’s purpose is to provide advertisers with the power to transform and grow their business. This will be through its “purchase journey obsession”, and will be done through the integration of purchase journey insights and data with [m]PLATFORM, GroupM’s proprietary global audience technology. “Our Wavemaker brand and positioning is a compelling manifestation of that purpose,” Castree added. 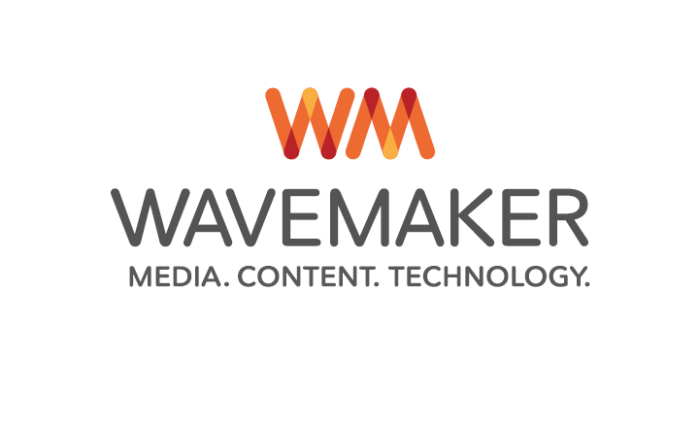 “Wavemaker is an exciting new global agency brand with a powerful proposition for clients. Castree and his team have the full support of GroupM’s scale, resources and expertise,” Kelly Clark, global CEO of GroupM, added. Most recently, MEC APAC CEO Peter Vogel was appointed to lead the combined MEC and Maxus “NewCo” agency in Australia and New Zealand. Prior to the appointment, Vogel was APAC CEO of MEC since mid-2015 and was the CEO for MEC AUNZ for over six years before that. Meanwhile, Maxus APAC CEO Ajit Varghese was appointed to head the global market development team, sources close to Marketing confirmed. This came as GroupM unveiled plans to scrap its Asia Pacific management for “NewCo”. In Singapore, Desh Balakrishnan, managing director of Maxus Singapore, was appointed to the role of managing director for Wavemaker in Singapore in July. Meanwhile, Allison Coley, managing director of MEC, will remain in the agency to ensure a smooth merger with Maxus before transitioning into a new regional role in Wavemaker by the end of 2017. In Malaysia, Michelle Achuthan, managing director of MEC Malaysia was appointed to take on the role as MD of Wavemaker Malaysia. Prior to the appointment, Achuthan was MEC’s MD since November 2015. Meanwhile in Indonesia, managing director of MEC Indonesia, Ajay Gupte was appointed MD of Wavemaker, as Maxus Indonesia MD Partha Kabi took on the MD role at MediaCom Indonesia, a role which will be effective 1 October 2017. News of the merger first emerged in June this year, which saw GroupM having three global media agency networks moving forward. These agencies are Mindshare, MediaCom, and Wavemaker – each with more than one billion dollars in annual revenues, according GroupM in a press statement. Tencent and Alibaba’s new tug-a-war in the mobile e-commerce space signifies a new wake-up call for marketers eying the mainland. .. The rustling of its packages, the crunching and chewing of its biscuits, and even the falling of crumbs on a table, all sounds lik.. Very often, adults lose fascination about traditional festival as people grow older, but the fast food giant sets out to remind us..
Nick Fawbert will now take the role of group head of knowledge within the BNM global team. ..